Magnetic fields play an important role in virtually all the physical processes that shape the Universe, from the presence of life on Earth to the formation of the first stars in the early Universe. This role is very often overlooked or simply neglected since magnetic fields are difficult to measure and to properly model. Such difficulty burdens the present research on magnetic fields, which has evolved to become a very technical subject, with many small disconnected communities studying specific aspects and details. The school on Cosmic Magnetic Fields tries to amend the situation by providing a unifying view of this broad subject. The students would have a chance to understand the behavior of magnetic fields in all astrophysical contexts, from cosmology to the Sun. From starbursting regions to AGNs in galaxies. The school presents a balanced yet complete review of our knowledge of cosmic magnetism, as well as extensiond into the unknown to trace future lines of research. Magnetic fields ar e found everywhere where we have the means to look for them. At present, they do not determine the global evolution of the Universe, but they influence central details in the evolution of galaxies, stars and planets. 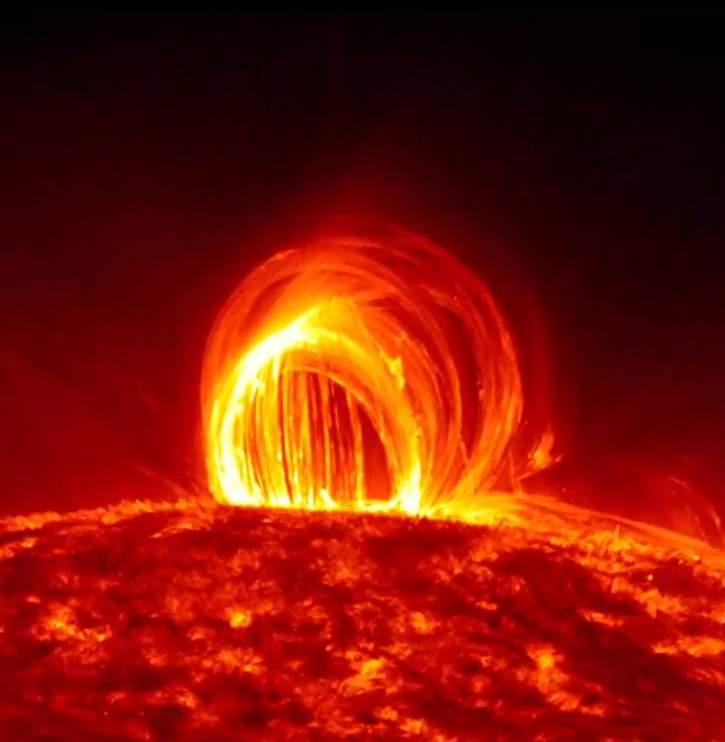 Our Sun has magnetic fields that give rise to spectacular spots, flares (see the picture at the left) and mass ejections. This so-called solar activity impacts and modulates the climate on Earth and therefore has a profound social and economic effect. Fast rotating solar-type stars also harbour this magnetic activity, although orders of magnitude more intense. And, in fact, magnetic fields have been detected all across the Hertzprung-Russel diagram. The study of this magnetic fields is very important to understand stellar evolution but, also, because they affect the possible planetary systems around them. Magnetic fields in the interstellar medium play a role in the accumulation of the gas into molecular cloud complexes and, consequently, it is thought to regulate the star formation. A variety of objects including pulsars, supernova remnants and X-ray stars, involve magnetic fields in a primary role. The Galaxy has a typical interstellar magnetic field strength of 2 microG in the a component organized at kpc scales, and a similar value in a small scale turbulwnt component. Other spiral galaxies have even stronger fields. Magnetic fields are fundamental to understand the observed properties of jets and lobes in radio galaxies, and they may be primary elements in the generation of relativistic outflows from accreting massive black holes (see left picture). They also represent a key ingredient for the unified AGN model. 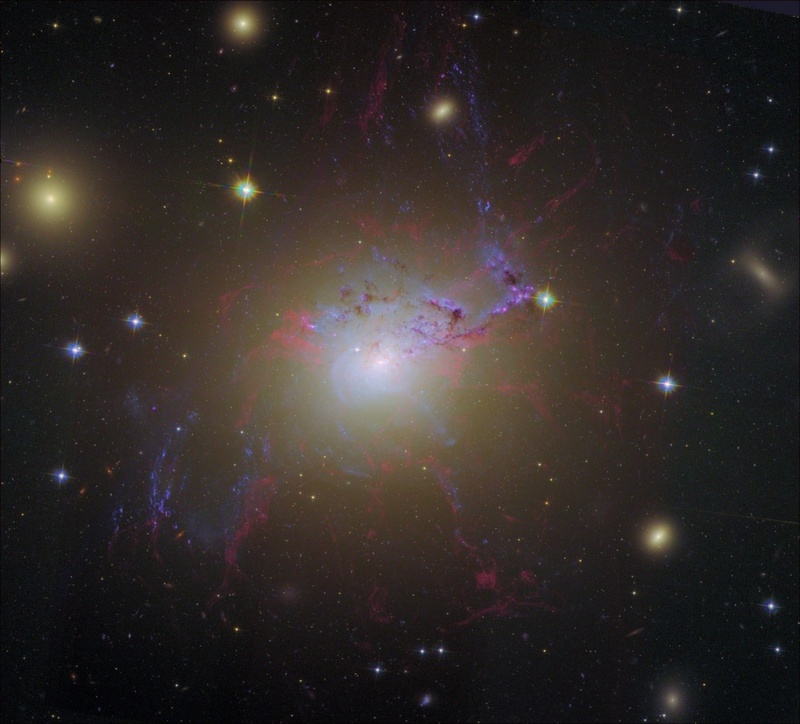 The newest area of study of cosmic magnetic fields is on the very large scale corresponding to the clusters of galaxies. Although the observational evidence supporting the existence of magnetic fields in large-scale structures, there is no consensus as to their origin. 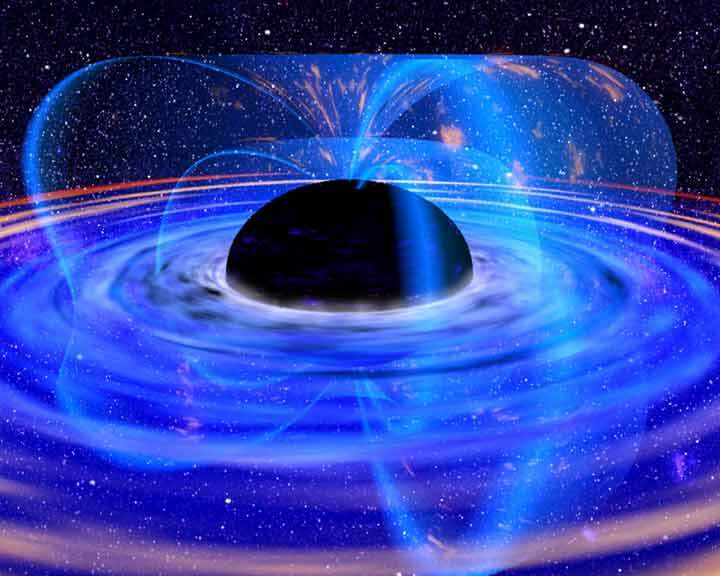 In purely cosmological terms, the origin of the magnetic field that pervade the Universe is still unknown. Magnetic fields can be amplified via dynamo action and a seed field, or may be generated in the very early Universe through processes related to phase transitions, or they may be a more recent phenomenon related to the formation of the first collapsed objects. This outline names only a few astrophysical contexts where the magnetic fields are of relevance, and they will be (partly) covered in this Winter School. To that aim, the Winter School lectures will be given by seven well known and experienced scientists who are actively working on a variety of forefront research projects, and who have played a key role in major advances over the recent years. The list of lecturers includes both theoreticians and observers. The format of the School will also encourage direct interaction between the participating students and lecturers. Participants of the Winter School will have the opportunity to display their current work by presenting a short contribution.